Designed keeping in mind the elite class guests and their preference for high quality services, Shamana Spa at Grand Hyatt Goa encapsulates the amalgamation of eastern and western architectural styles. Shamana Spa is housed in a magnificent two level building spread across 36,000 sq ft of huge area. The Spa at Grand Hyatt Goa is the temple of tranquility, offers a peaceful and serene retreat to the guests. 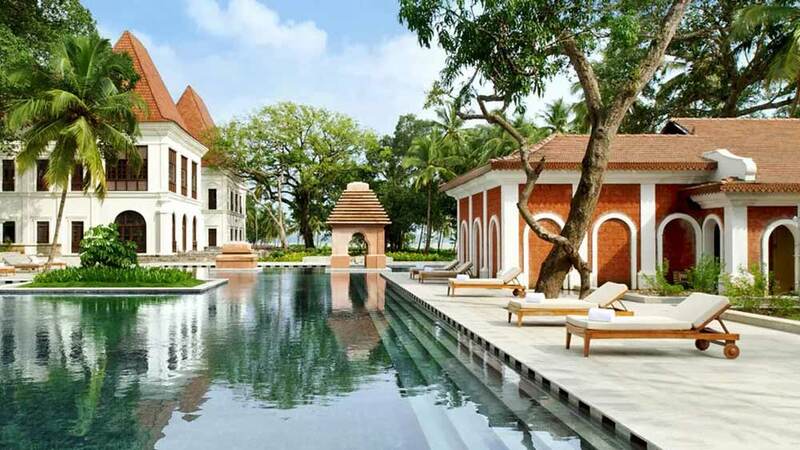 With an aim to unveil more about the spa architecture, interior, décor and products, Wellness India spoke to Jaco le Roux, General Manager, Grand Hyatt Goa, who gave us an insight of Shamana Spa’s architectural history. The architects of Grand Hyatt Goa and Shamana Spa are Chandrasekhar Kanetkar and Pritam Bidikar of ChandraShekhar Architects based in Mumbai. The interior designers are Terry McGinnity and Joanna Biggs of GA Design International based in London. Embracing the mythical concept of the ‘monastery of the Indo-Portuguese Palace’, Shamana Spa offers South-East Asian treatments with a contemporary approach. ‘Shamana’ a Sanskrit word means ‘balance’ aims to create the perfect balance between well-being and lifestyle with a wide range of treatments and packages. The wellbeing level on the first floor with a spacious spa reception opens to the spa lounge. The spa lounge faces an open-to-sky central atrium with a water body around which the 19 spa suites are built. They comprise of 11 single suites of 350sq ft each with a built in shower and dressing area; couple suites of 500 sq ft each with a plunge bath and an Ayurveda suite of 500sq ft. Each spacious spa suite has a separate space for the foot ritual and hydraulic treatment beds from Touch America for the convenience of the guest. One wall of each treatment room is made of the beautiful mother of pearl Capiz shells found on the Bambolim bay, an approximate of 20,000 shells have been used for the spa. The lifestyle level on the ground floor is an area for recreational activities. It has a 2000 sq. ft. Fitness studio equipped with state of the art fitness systems from Life Fitness USA; the relaxation lounge is spread over 1,300 square feet and guest can participate in the yoga sessions that take place every morning. The spa also includes Snip Privé, a highly acclaimed name in creative hairdressing offerings its luxurious beauty services at Shamana Spa. The spa also features Goa’s only 25-metre indoor lap pool, an outdoor free form swimming pool. The spa menu is flavoured by various cultures and traditions. From Bali to Thailand to India, ancient rituals are cultivated, aiming to suit the expectations of the guests. Guests can indulge in signature body and face treatments, spa packages offering a combination of massages, traditional body scrubs and facials. The massage beds used in the spa are by Touch America. They are the most versatile spa massage treatment tables - renowned for its durability, and ease-of-use. This spa and massage table is constructed from beautiful, natural wood in Maple. The classic design emphasizes strength and dependability which this spa & massage tables has been delivering for more than twenty years. The very comfortable four-section top adjusts manually with paddle-release and tilt mechanisms. The spa houses 19 spa treatment suites that are designed with a reflecting pool and magnificent visual effect mirrors the luxury and grandness of the experience. All suites are designed to enrich our guest’s experience and include six couple suites, single suites and an Ayurveda/ Indian treatment suite. Shamana Spa has been aesthetically designed to use maximum day light through the first and ground level. We have chandeliers and artificial dimmers that light up the spa as the sun sets. The spa floor is artistically designed with sand stone and Italian marble. At Shamana Spa a yukata is offered to every guest. A Japanese garment, the yukata is a casual summer kimono made of cotton. Pop star Ellie is new face of MAC ..